MS Oslofjord operates the very popular route between Strömstad and Sandefjord. You can enjoy delicious food, a 1,800 square metre shopping area, a new, modern design and regular departure times. With around 400,000 passengers a year, we want to ensure that MS Oslofjord continues to offer the best service and satisfies our discerning customers’ requirements for comfort and entertainment on the trip between Strömstad and Sandefjord. The food section in the tax-free shop on MS Oslofjord has an impressive range at great prices. 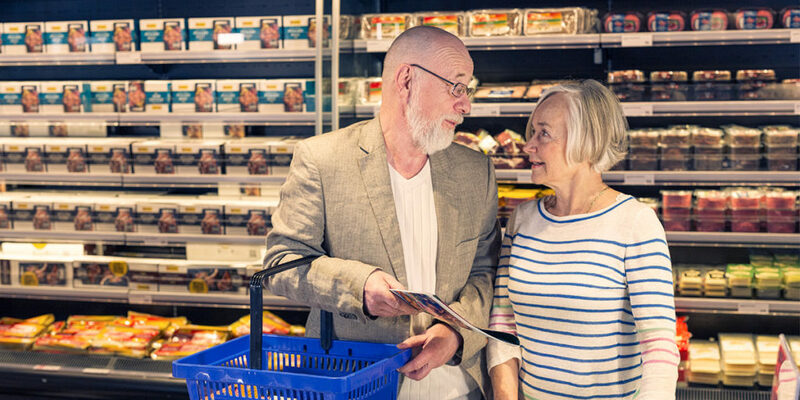 We’ve asked our customers and found out that tax-free shopping, offering a good selection at tempting prices, is at the top of most people’s list. The fact that we listen to our customers’ wishes is obvious as soon as you come on board MS Oslofjord. Here you’ll find a full 1,800 square metres of shops, distributed across an incredibly spacious tax-free store on decks 4 and 5 – by far the largest shopping area on any *day-trip ferry in the world! Enjoy a delicious meal in Commander Buffet on MS Oslofjord. 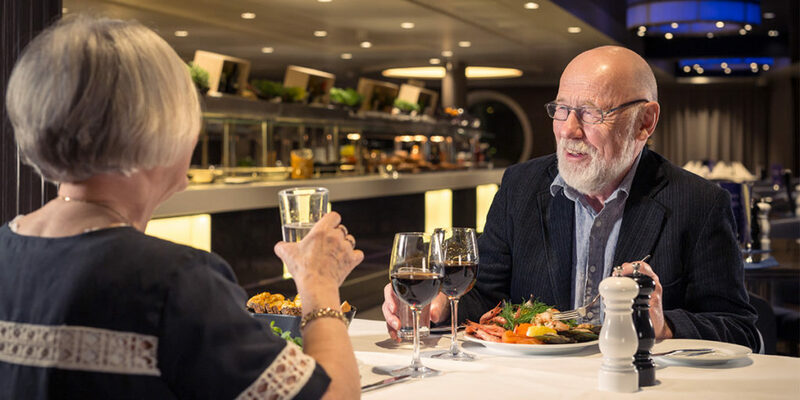 Even if tax-free shopping is most people’s priority, we also offer everything else you’d normally associate with more traditional enjoyment when you’re on board – such as delicious meals. You can choose whether to enjoy a meal in our large buffet restaurant, the cafeteria, or just a light snack in the Fjord of Coffee lounge. Or perhaps, if the weather is good, why not enjoy a drink out on the top deck in either the Skybar or the Sunbar? You’ll find a fantastic atmosphere at the Fjord of Beach Bar. At the Fjord of Beach Bar our hard-working bartenders are ready to tempt you with delicious drinks – and why not try your hand at the blackjack table or on one of the many slot machines. It’s your choice. At Fjord of Coffee, you’ll also be entertained by regular performances on the stage. Rest assured that all entertainment has been carefully thought through. We’re particularly careful about what we show our younger passengers. Children can also enjoy the play area and ballroom on deck 4. When MS Oslofjord was upgraded in 2014, nothing was left to chance. Today, our guests are particularly impressed with the bright and attractive facilities, the abundance of space, and the ship’s comfortable interior. Of course, we’re pleased about this, but the credit should really go to Falkum-Hansen Design, whose staff was responsible for the interior design and choice of colours.